As much as we love exploring exotic places, jet lag is no fun. It’s a a fairly common problem caused by flying long distances, across several time zones. Jet lag can affect anyone, although the elderly are more likely to experience it than younger people. Symptoms can include disturbed sleep patterns, tiredness and a lack of energy – which is not how you want to start your holiday. Luckily, there are some simple steps you can take to avoid jet lag. Take a look. The world is divided into 24 time zones based on the Greenwich Meridian, an imaginary line circling the Earth north to south and passing through the Royal Observatory at Greenwich in London. Clocks add an hour or decrease by an hour for every 15 degrees of longitude travelled, either east or west of the Greenwich Meridian, which is 0 degrees. Jet lag occurs in long-haul flights because the aircraft will likely cross many time zones before landing. This has the potential to disrupt the natural ‘body clock’ of any would-be traveller. The body clock, sometimes known as the ‘biological clock’, follows a 24-hour cycle called the ‘circadian rhythm’. This rhythm is based around changes in daylight and darkness. The body clock, normally synchronised to local time, tells you when to sleep as well as waken up. But it also affects hunger, digestion, body temperature, blood pressure and other bodily functions. However, whilst jet lag cannot be prevented, there’s a lot that can be done to reduce its effects. 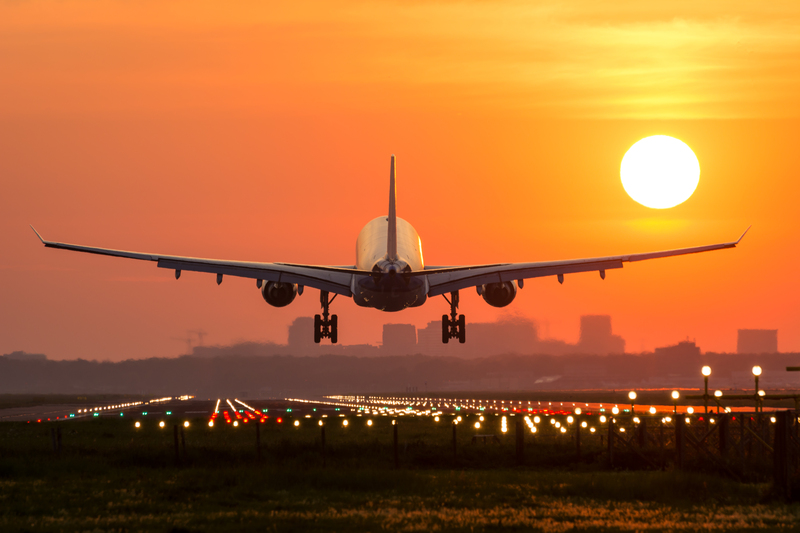 How can you avoid jet lag? There are a few easy steps you can take to lessen the effects of jet lag. A few days before any long-haul flight, it’s a good idea to change your sleep routine. Go to bed earlier if you intend to travel east, or later if you’re flying west. And get an adequate amount of sleep. The more tired you are, the more likely you are to suffer jet lag. Stay as calm and relaxed as you can at all times, as stress can make jet lag worse. Try to stay comfortable with our tips on what to wear on a long-haul flight. Drink plenty of fluids during the flight itself, especially water, but try to avoid alcohol, coffee and tea. The food you eat makes a big difference too – there are certain foods you should and shouldn’t eat before flying. Exercise regularly. Get up from your seat and walk up and down the aircraft. Stretch arms, legs and ankles while sitting down. This will also help to reduce the risk of developing deep vein thrombosis, a potentially serious condition. Change the time on your watch to that of your destination when you board the plane. That way you’ll more quickly adjust to the new time zone. One final point worth considering is the length of your trip. If you’re going for a short amount of time – perhaps it’s a business trip for just a day or two – you might get away with staying on UK time. Try to arrange any sleep, meetings or activities to coincide with the time you would normally do them at home. Now you’ve got your jet lag-busting tips, it’s time to book. Find a great deal on your flights today. If you’re planning a long-haul trip with the whole family, read up on how to keep the kids happy on the plane.